Back when I was writing the initial post about the planes of existence [you can find the original here] I handwrote some notes and promptly lost them. OK, I’m getting old—I’m retired and everything—so I’m entitled to lose stuff. Just wait till you hit your 60’s, then we’ll talk, OK? So, I found the notes while cleaning up today and thought I’d add em to the mix. The Number One motivator of the Universe or the All that Is or the Tao or whatever you want to call it is Growth. The ancient Greeks recognized the need and assigned it to Apollo in his axiom to “Know Thyself.” How appropriate that they perceived the Wise God as understanding the basic fabric of the Universe. As I said in the first post, the Physical Plane is about separateness. Before each lifetime we undertake we choose our parents, we create the vehicle for the experience [the body], fairly often we create a body that has some sort of ailment or deformity—in order to experience even more separateness from the other souls on the planet, to experience a specific karma or to see if we can overcome that form of separateness. We choose primary, secondary and tertiary lessons to learn during the particular lifetime, etc. etc. etc. Michael, Seth, Lazaris, Edgar Cayce all have said, over and over, everything we do is by choice. We can even opt out any time we want to—though it’s rarely done. Almost always, once we make the initial decision, we grit it out till the end. When I learned that little tidbit, my respect for the human race climbed dramatically. So, you’re a soul that has decided to take on a body and come to the planet Earth. Before each lifetime you have to slow your vibration way, way d-o-w-n or you’ll burn out your body before you’ve had time to learn the necessary lessons. Even slowed down this way, eventually you’re going to use up the body. That’s what old age is all about [and I’m here to tell you, Bette Davis was right—it ain’t fer sissies.] But, again, we decided to experience old age, too, when we made up our minds to take up residence in the physical. When we cast ourselves off from the All that Is, we each made the decision to make the arduous journey through the 7 planes of existence back to the Is. Maybe our first time out it was a leap of faith. We hadn’t done it before and we were flying blind. After that first one, though, we knew exactly what we were in for—and, as amazing as it may seem, we did it again. The average number of times the souls on this planet have gone for walkabout is 3. I’ve read that the Old King who traded places with the Infinite Logos called the Christ had been out and gone through the entire process 16 times. Now, THAT’S adventurous! Anyway, here is the mechanism as I understand it: The All that Is seeds the physical plane with organic life in numerous environments. It watches each species develop and when the intellectual center of one of them is developed to the point of, “I know that I am,” the first sentient fragments [souls] begin incarnating within those bodies. I am assuming that the intellectual centers of all members of the species don’t develop at the same rate so, early on, a planet might have a mix of some sentient beings within the species and some non-sentient ones. Eventually, they all reach that stage, though, and the planet holds only sentient beings within the species. 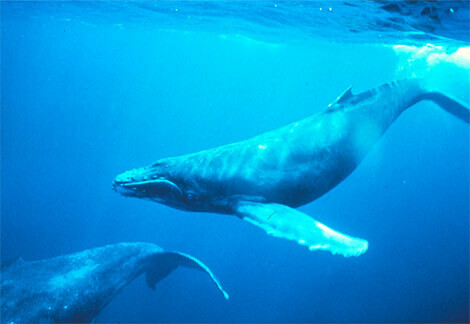 Whales as well as humans are the sentient beings on Earth at the moment. Some recent information regarding chimpanzees suggests to me that they may be reaching sentience right about now. They’ve changed their behavior in the wild dramatically within the last few years. Some have begun voluntarily entering water—until very recently [within my lifetime] they were, so far as humans knew, universally terrified of it. And some have begun using crude spears for hunting. I wonder if the fact that humans [and maybe whales? I don’t know] are reaching the Mature Soul Age has helped the chimps move along to their next stage of development, as well. It’s certainly an intriguing speculation. So souls enter the bodies when the species is ready to house them. 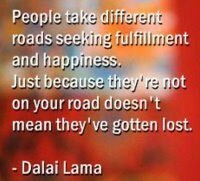 By doing so they choose separateness. They choose to forget where they came from and to take on the belief that they are separate from one another. That they are different from all the other species on the planet; and from the dirt; and from the mountains; and from the sea and all the creatures that live within it; and from space and all the creatures that live there, too. Only by forgetting their oneness with All can they learn the lessons they set out to learn. There is no other way or, I imagine, we’d have taken it—since this one is so arduous. Well, I take that back. There is another way—the non-physical. I don’t know if separateness and forgetting is utilized in that mode or not. I’ve heard it’s easier than the physical route but ‘takes longer’ whatever that means in this context. But, this is what we did. We chose the physical method—and here we are. And we accepted separateness and forgetting as two of the rules of the game. Eventually, though, after we’ve been here for a pretty long ‘time’ and learned a fair number of lessons, the separateness rule gets old. It wears thin. The Soul begins to sense the truth behind the myth and longs to reunite with the Is. It’s getting close to the end of the Old Soul awareness and just wants to shake the dust from its sandals and GET ON WITH IT, ALREADY! At that point, the Soul begins the cycling off process. It’s got a few loose ends to tie up—like finishing up the last of its karma and finding at least one younger soul to whom to teach what it has learned along the way. Then it can get off the planet for good. And good riddance. After that it begins the process of reuniting with other souls beginning with its Essence Twin, its Entity, its Cadre of Souls, etc. etc. until, at the Buddhaic Level, it merges with all the matter of the Universe and melds with the All that Is. At this point the cycle is complete. The fragment can remain within the Universal Consciousness for eternity or choose to make another walkabout adventure during which the Soul may or may not choose to enter the physical plane of existence again. Personally, at this stage in my existence, I can’t imagine making that choice but, since I already have — nine times — who knows? I probably will again.